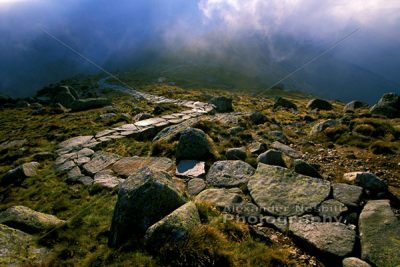 Slovakia – Sunrise through mist over a rugged stone path which winds along the ridge line of the Low Tatra mountains in Slovakia. 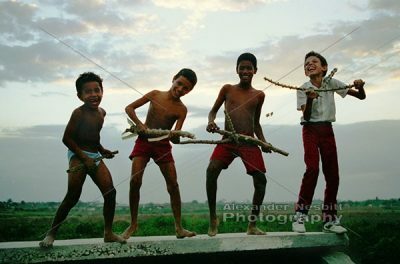 Cuba, Bayamo 1997- Four boys pretend to play in a band on top of a wall. 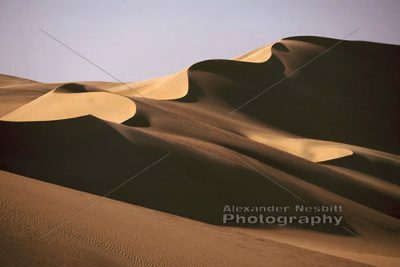 Egypt, 2000 – Sinuous dune ridge in the Great Sand Sea. 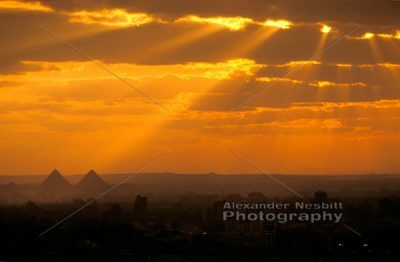 Egypt, 2000 – View over Cairo to the pyramids at Giza from the minaret of a ruined mosque on the Moquatum Cliffs. 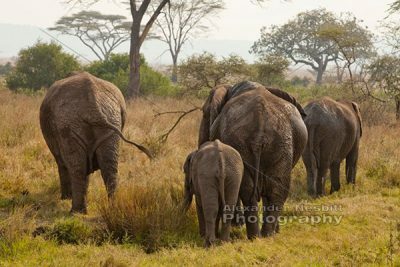 Tanzania, Serengeti – A family of elephants, rear view. 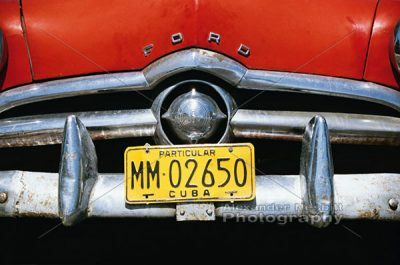 Cuba, 1997- Front grill of a faded, rusting 1958 Ford with Cuba plates. 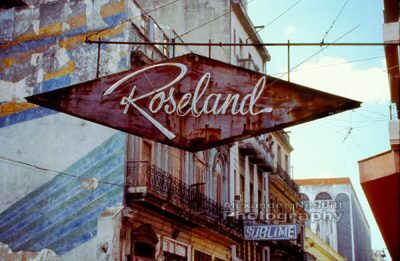 Cuba, Havana 1997- Rusted and faded nineteen-fifties department store sign for the Roseland store in downtown Havana. 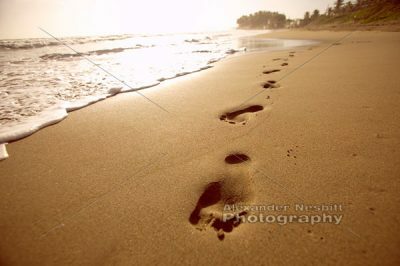 Dominican Republic, 2003 – Sunrise and footprints on the pristine beach near Cabarette. 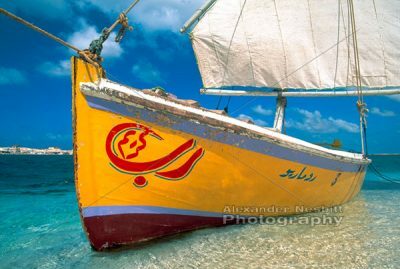 Egypt, 2000 – A felucca rests on the shore of the beautifully colored Mediterranean. 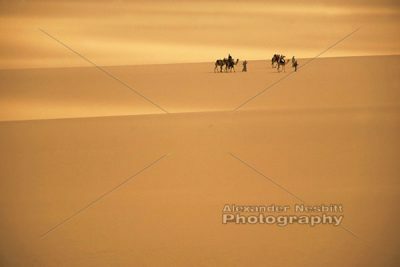 EGYPT, 2000 – Egyptian Western desert, Bedouin guide leads a camel caravan on a trek along the Dharb el Dakhla track from Farafra Oasis to Dakhla Oasis through the dunes of the sand sea. 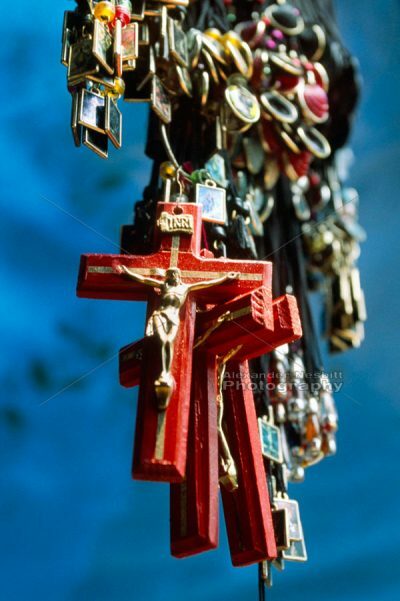 Oaxaca, Mexico, 1998 – Religious jewelry hangs in the open market. 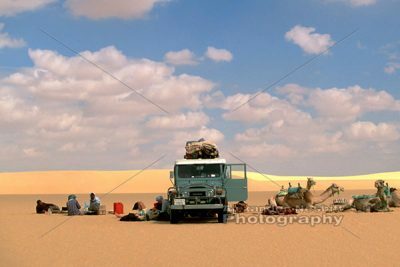 Egypt, 2000 – Egyptian western desert. Lunch time rendezvous with the supply vehicle, an old FJ40 Land Cruiser. 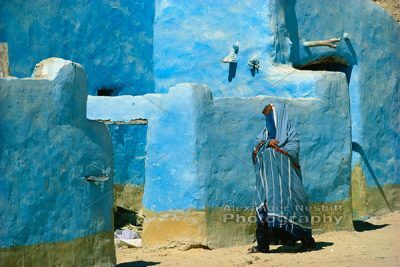 Egypt, Siwa Oasis 1999 – A woman, wrapped in the traditional blue robes of the Siwa Oasis, enters her family home.